Hello my friends. Spring is here! The birds are singing and the peepers are peeping! Here in Upstate NY we have tiny tree frogs called Peepers that make a lovely ruckus at night! We know it's spring when you can hear the peeping of those frogs! It's also time for another Club Scrap Artist Team Challenge! 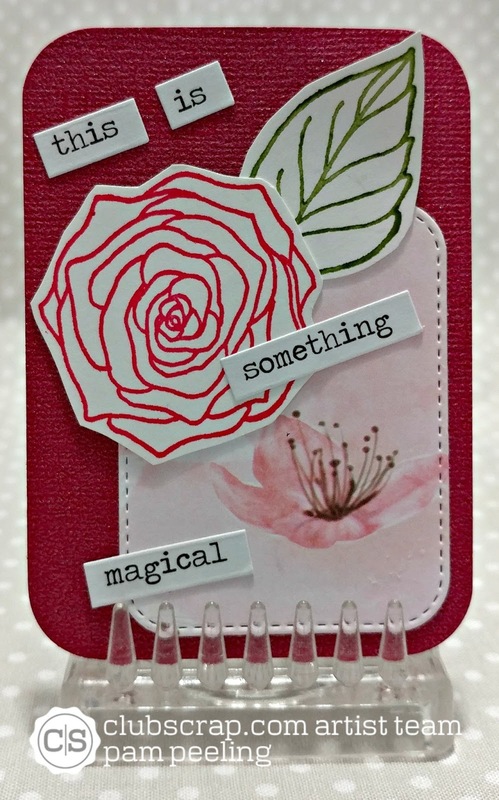 If you've come from Roni's blog then you're following along the hop! 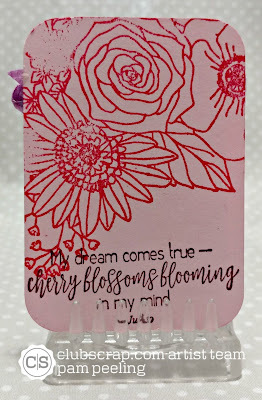 This month Club Scrap asked us to use Stamped Bouquet unmounted rubber stamps on our projects. 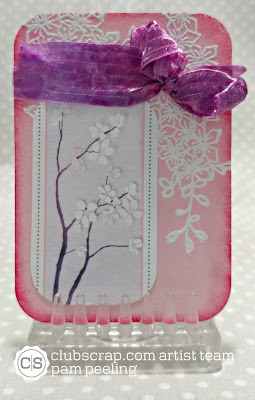 I paired these stamps with papers from Club Scrap Cherry Blossoms kit to create my project. 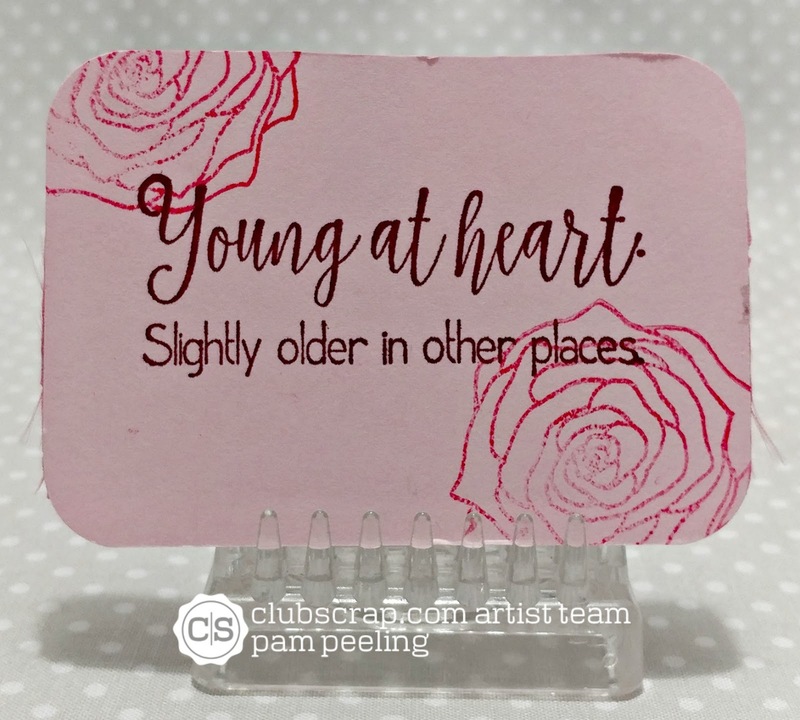 I decided to make a set of ATC's in a little metal tin. I found the tin at Micheal's on clearance for like $.99. I stamped the sentiment with white Staz-on ink and the Cherry Blossoms stickers are from the Cherry Blossoms kit. 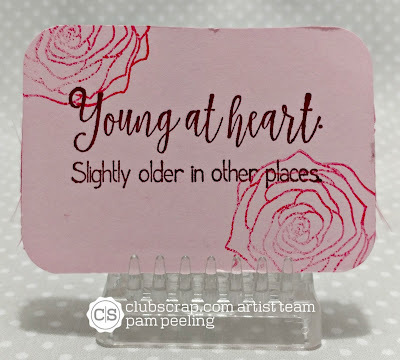 The sentiment is an image from the unmounted rubber stamps from this collection. I used Staz-on ink in black. Each ATC has an image from the Stamped Bouquet stamps. I colored the images with a variety of methods. These are both Prismacolor colored pencils. 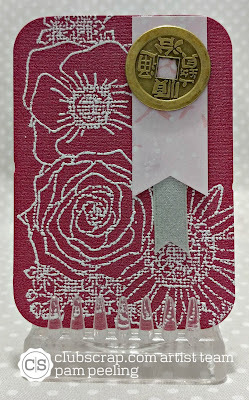 I like the way the embossed image looks on the textured paper on the one on the right. 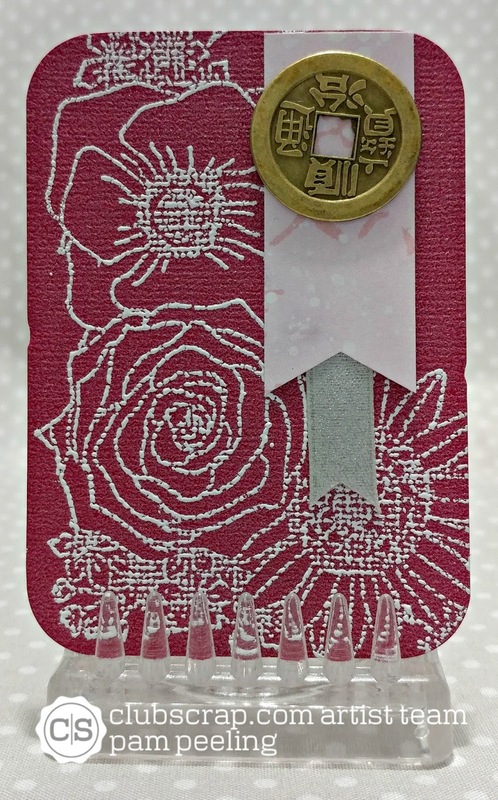 The Bronze Coin is from the Cherry Blossoms collection too. 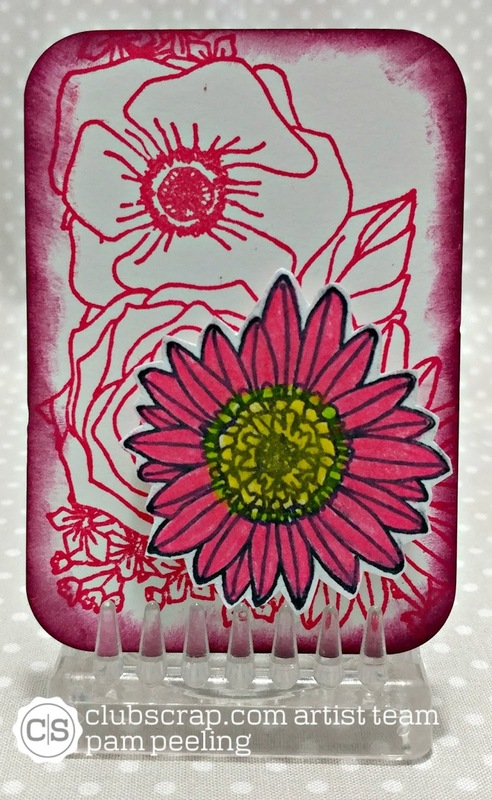 These flowers I colored with water based colored pencils and used a water brush to spread the color. 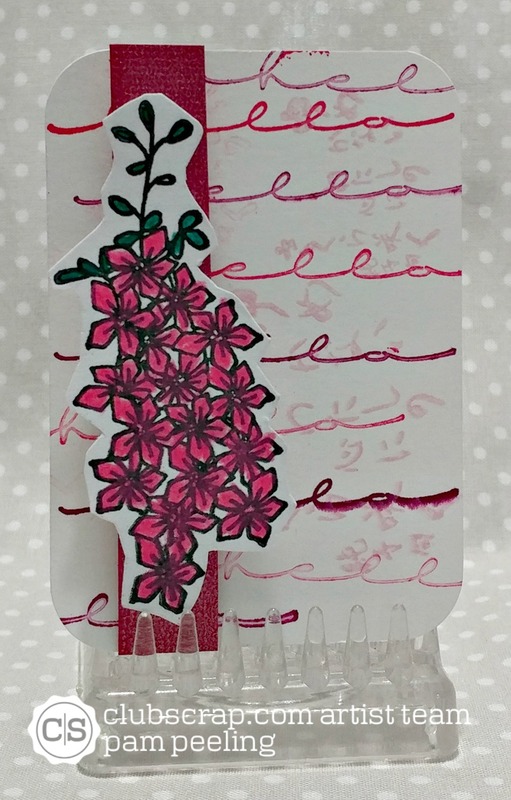 I stamped the backs with sentiments from the kit. 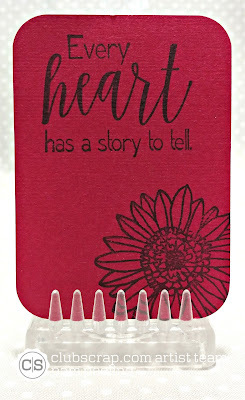 I love this sentiment-so cute! Be sure to check out the beautiful Cherry Blossoms collection and Stamped Bouquet unmounted rubber stamps from Club Scrap! You're next step along the hop is Hetty!-Hop along to see what she's made! OMG this box of cards is toitally awesome, Pam. 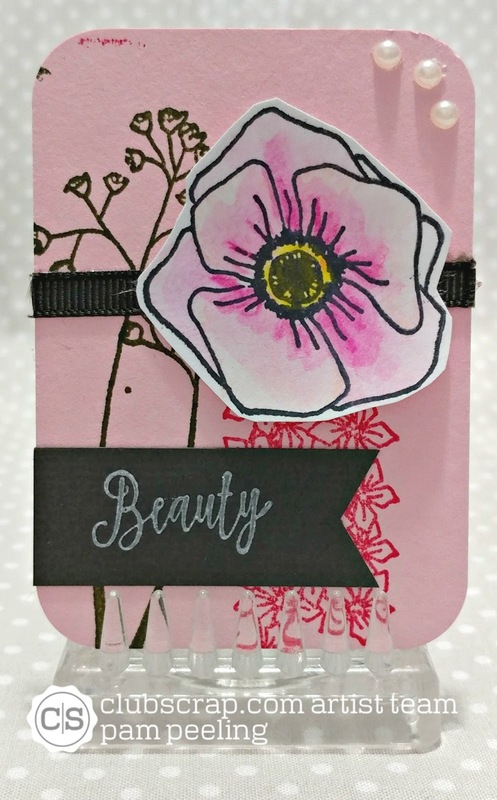 Each little card is a feast for the eyes. 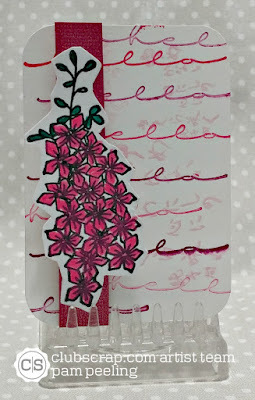 I LOCE your ATC's, you've created some fantastic little works of art! 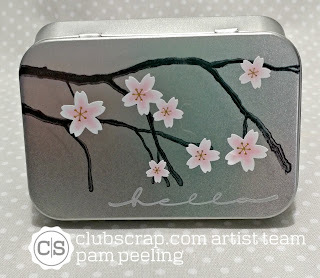 The decorated tin is the icing on the cake! So glad you shared such great ideas! 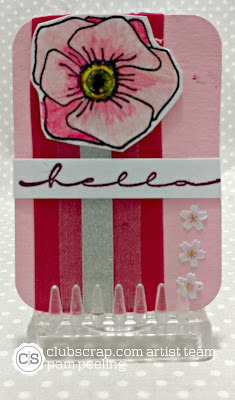 Love the ATCs and the sweet li'l tin! So many great designs. TFS! Wonderful idea for the tin for the ATCs. Thanks for the inspiration. 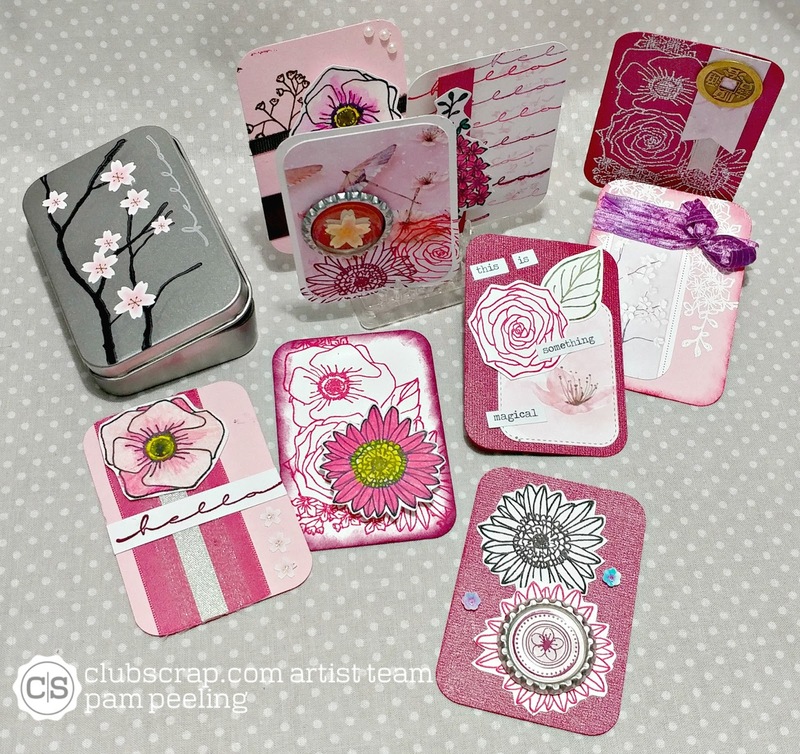 Beautiful ATC's & Tin...would be a wonderful gift for someone! Pam each one is a true masterpiece, love them all! what a fun set of ATC's! 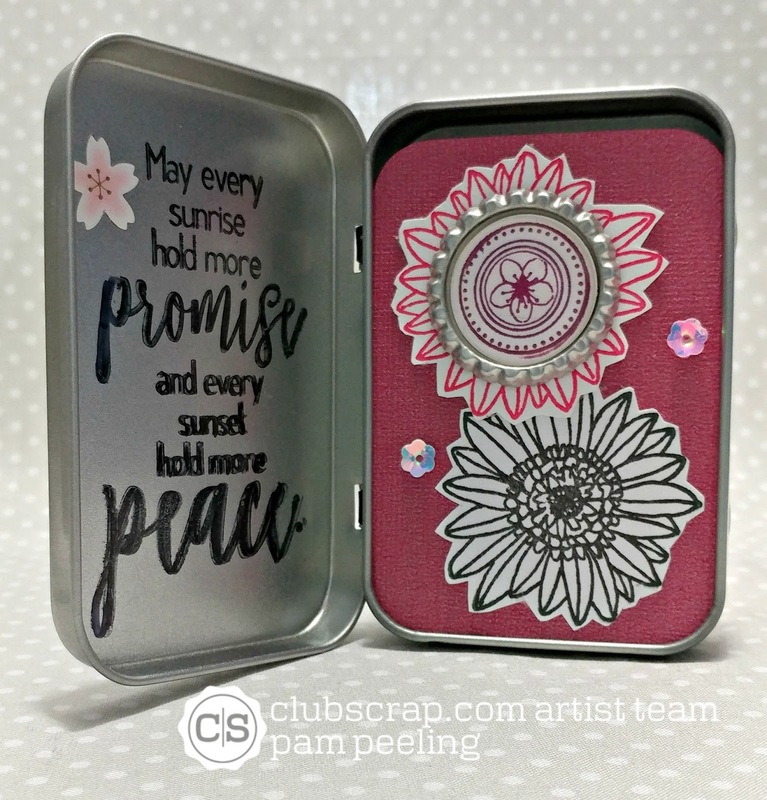 I adore the tin! 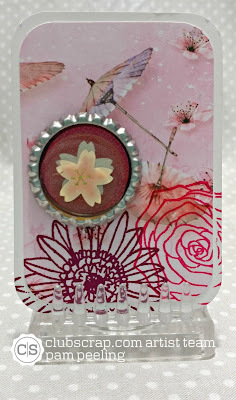 These ATCs are so fun! Great tin to go with them! So stinkin' cute! 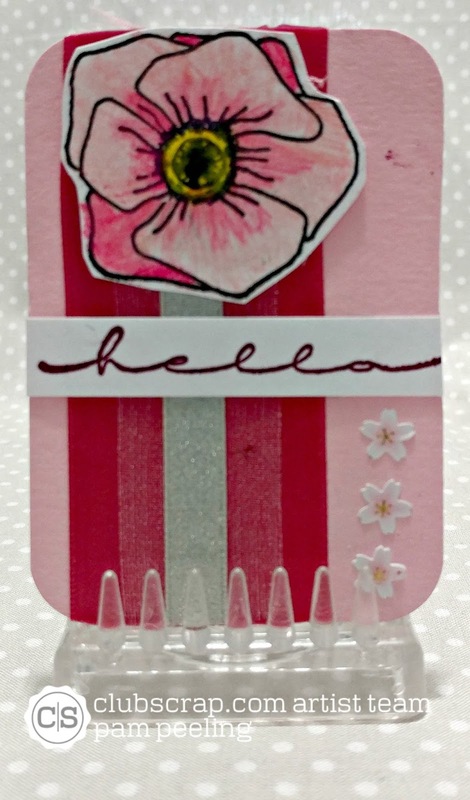 I love the tin box and ATC's! Tin of cards! Sooo pretty!!! 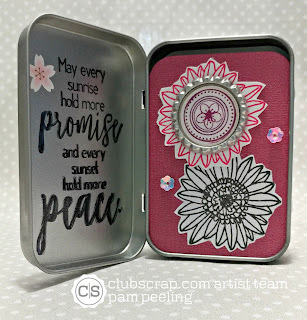 Love that tin, and the cards are each so unique! Love it! 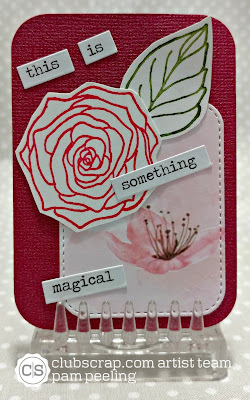 ATCs are such a great way to try out all the stamps ina kit.